You must make reservations at least 5 minutes in advance of the time at Post Oak Grill. Garage parking is available in addition to valet parking daily. Our bar offers happy hour and piano music, Monday to Friday 5:00 p.m. to 8:00 p.m., and live music Thursday to Saturday 8:00 p.m. to midnight. 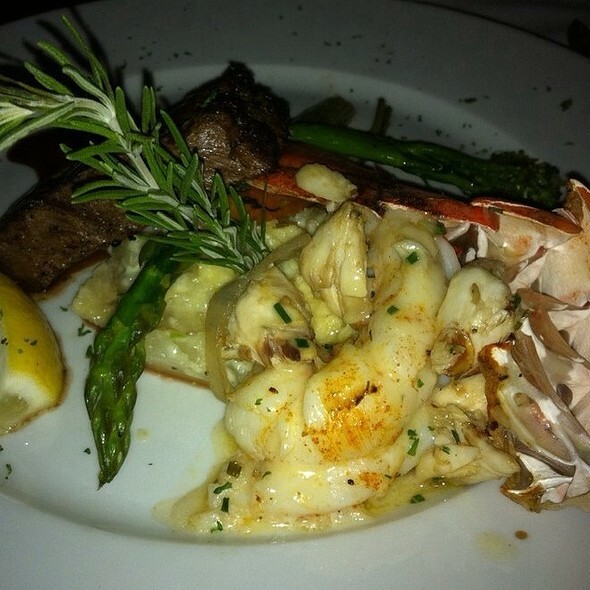 Since 1989 the Post Oak Grill Restaurants have been a synonym for the highest quality of food and service. Chef Polo Becerra's imagination and dedication to excellence brings subtly delicious flavors to their menus, which have maintained the Post Oak Grill as a distinctive destination for the perfect dining experience. Enjoy Center-cut steaks, chops and fresh seafood, an international wine list, along with freshness, quality, exquisite service and atmosphere. The New York Strip Steak, the Rosemary Roasted Chicken and the Grilled Gulf Red Snapper are just three of the many dishes which keep Post Oak in the forefront of haute cuisine in Houston, serving a select clientele with discerning tastes. Join us for a wonderful culinary adventure which you will want to repeat again and again! Great food and service always. The adjoining room had some band setting up for a performance and made it a little noisier than I expected. Post Oak Grill was a wonderful experience! We had a family dinner there on Saturday. 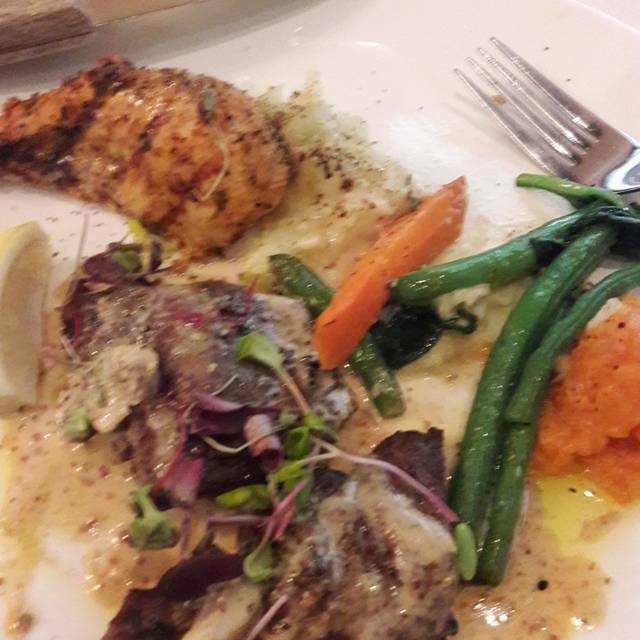 3 people ordered the filet mignon, 1 ordered the lamb, and I ordered the redfish. All were amazing! We also asked for a wine recommendation. A pinot noir was recommended and it was exactly what we wanted and paired well with all meals. The service was impeccable and atmosphere quaint and lovely. We will be back! The food took a long time to arrive & then it came lukewarm. The food was delicious. Our waiter was very nice. It wasn't his fault the food wasn't hot. Slow service which was unusual. Food was great. Lighting was a bit bright. Could improve the ambience with a bit more volume on the music while still maintaining a relaxed atmosphere. $6 for a club soda is a bit much. I don't mind paying the premium for good food but the mark-up on non-alcoholic drinks is excessive. Overall, a good dining experience. We went and tried to check in. We sat there for 30 mins - waiting to be checked in. No one was even taking names. It was a mess. We left. Valentine’s Day. Packed house with too few waiters Had a 30 minute wait to finally get water and a menu and place a drink order that never arrived. Got up to leave and the owner caught us at the door, offered a different seating and drinks on him. That drink never arrived either. Nearly an hour into it, finally got a waiter and a drink and things got a little better. Food was ok but not memorable. The ‘famous’ chef/owner apparently never cooks and actually might be mistaken for a homeless person wandering about aimlessly. Maybe this place is riding on their long history but if they keep operating this way, I can’t imagine them being in business much longer. Great food, specially amazing service!! My husband and I had not been to Post Oak Grill in years. We are always chasing the new hot places that pop up monthly in Houston. We had a wedding reception to attend and therefore decided to try Post Oak before heading over. I can tell you I was so amazed at the incredible menu , presentation and service. I had the fabulous truffle mushroom soup in pastry and it was positively the best meal I have ever had!!! 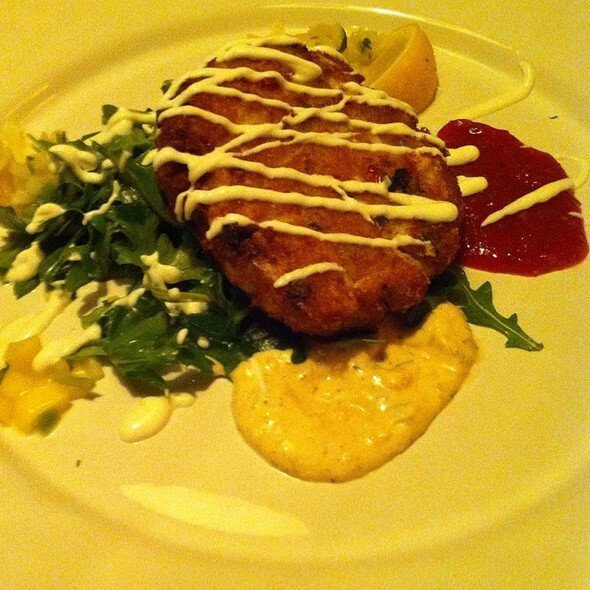 The crab cake that followed was just as wonderful! The wine list was extensive and we had a darling waitress. I highly recommend Post Oak Grill for all occasions!!!! The only downside to this visit was the comfort of the booth we were in. Not very comfortable. A table would have been a better choice. Tried the key lime pie for the first time. Possibly the best I have ever eaten. An excellent meal and experience. Good food, good atmosphere, great looking bar. I had not been in years and was pleasantly surprised. 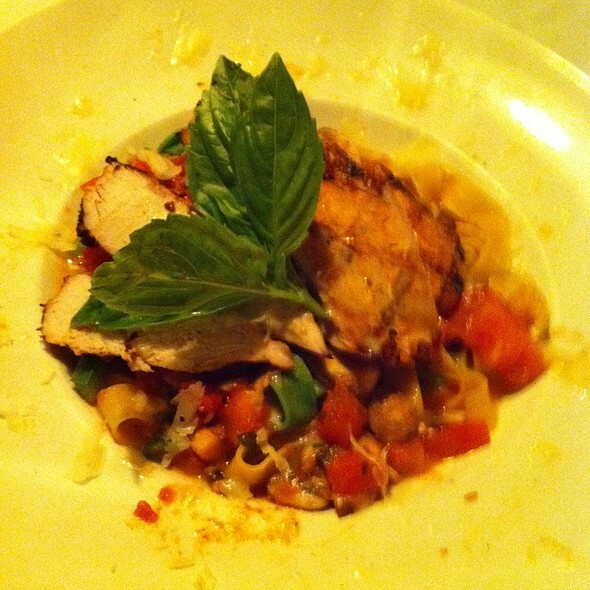 This is consistently an excellent restaurant with a solid menu and excellent service. Nice experience - great ambience and excellent service. The food was well prepared with fantastic presentation. I felt it was a little expensive for what you get. It will become a lunch place for us in the future. 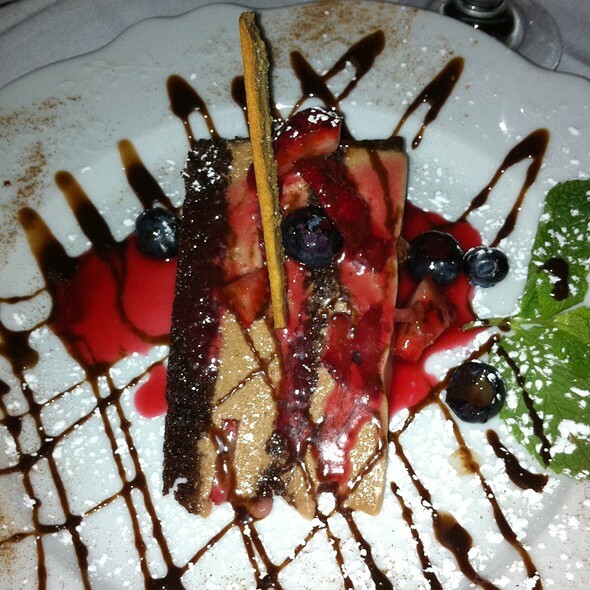 Excellent service and the food was presented exceptional. 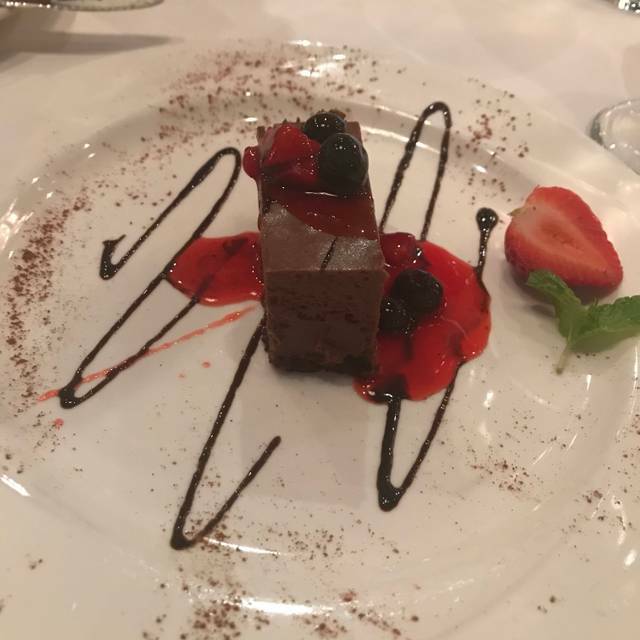 Plus it tasted as good as it looked. Food and service were excellent. This is a lovely restaurant and easy parking as well as valet. We dine here often. Always a great experience. The food never disappoints and there is a dining option for everyone. Top it off with the great service and you have a great evening. Our waiter trod however the kitchen lost our ticket when did up having to get our food packed up to take home at 11:15 We were supposed to have a reservation in the lounge however, I had to let it go when we were not ready for it We understand it was New Year's Eve but they should have expected the rush at the end of service. Waiter was very apologetic, however 250.00plus for take out without any management was expensive. Not a good experience tonight for NYE. It was a fixed menu and the choices sounded good. 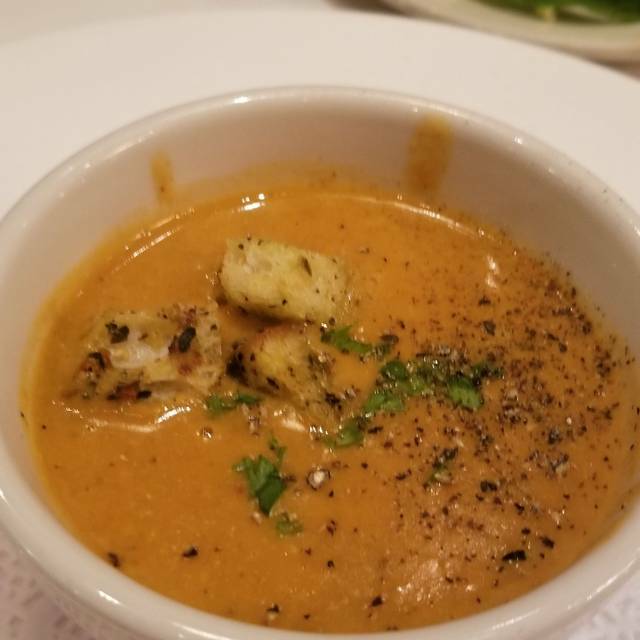 The biscuits and lobster bisque were the highlights of the meal. Everything else - lamb, fish, deserts - were subpar. The lamb and fish were very salty. The deserts had little flavor. There are too many good restaurants in Houston, especially for a $300+ meal for two, so we won’t be back. I had a great meal and the service was excellent. I like the Veranda setting although the main dining room is very nice too. The food and our server were good but I would not go back. The bathroom was dirty and smelly. By the end of our meal there was a strong smell of sewage that reached our table. Also, one of the toilets was missing a toilet seat. I would expect much better for a place of this caliber - most gas station bathrooms are better than this. Also, when I arrived there was obvious confusion at the host stand. One hostess discussing that groups were put at the wrong tables/rooms in earshot of several customers. Just overall this place looked like it should be fine dining but it did not feel like it. 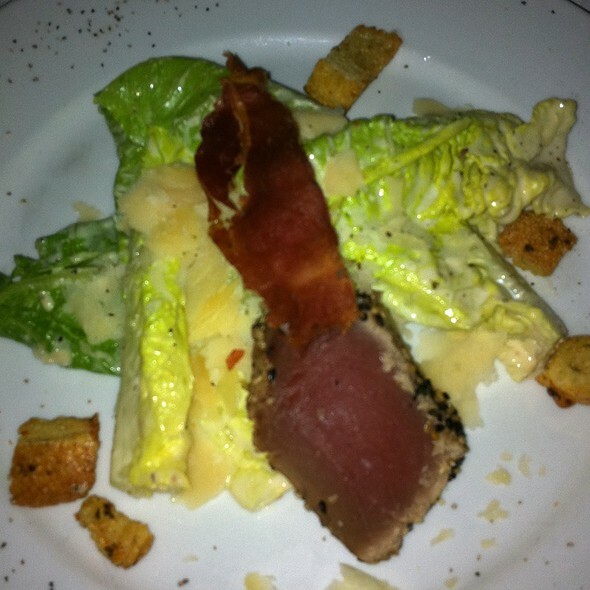 Post Oak Grill is a great experience, mainly due to the service. Excellent well trained staff that make sure service is excellent. Food from the Lunch menu (at least the New York Strip) not very good. We had a party of 4 all ordering the same thing and we all had a disappointment steak. Thin piece, mine had a lot of fat. We did not complain as our gathering was festive and we did not want to make a big deal. I will go back again but order off regular menu and skip the "specials"
Wonderful service, wonderful food, covered parking. I highly recommend this restaurant. We were so disappointed that we had a poor experience as we had dined here years ago. The restaurant was not crowded at all. Our waiter acted as if it was his first night. I think they were extremely light on staff. The wait for our food was outrageous and when it finally came it was inedible.I had the grilled deboned ribeye with a side of creamed spinach. My steak was charred and so tough I could not even cut into it. The creamed spinach looked like spinach swimming in a bowl of cream. My husband had the peppercorn filet and there was no peppercorn sauce on it. It had the same sauce on it that my steak did. When we asked for the manager we were told he was not there! What restaurant does not have more than one manager on staff? We were told he had to take a customer to the emergency room because she had an allergic reaction to almonds. Crazy! One of the owners came by and I felt bad for him but the damage had been done. A delightful evening —service and food would be hard to beat! Everything was impeccable from start to finish. Delicioso! Muy recomendable! El bufete tiene muchos platillos y la carne en su punto! Los postres deliciooooosooosss! Post Oak Grill has been my special occasion spot for over 35 years. 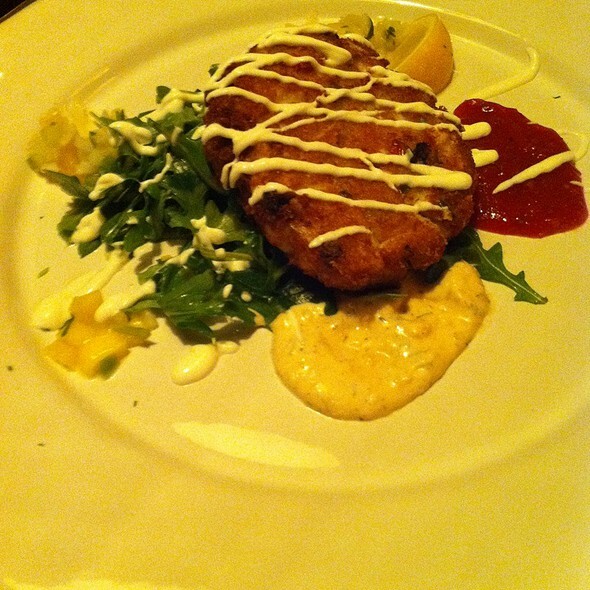 It has the same charm, glamour and delicious food today as it always has. For a friendly lunch to a special event, it's always memorable! Service too good. Needed more time to conduct business but waiter kept pushing us to order. Met a colleague for a business discussion. Service was just attentive enough, food was prepared as requested. Staff was very courteous. Would recommend. Good food and great service. Nice evening with friends to celebrate a birthday. The service was unbelievably amazing! Very quiet atmosphere, I didn’t have to raise my voice to talk. Food was incredible along with our waiter who never lost sight of our table. Most importantly we appreciated the owner come and share a little conversation with us!